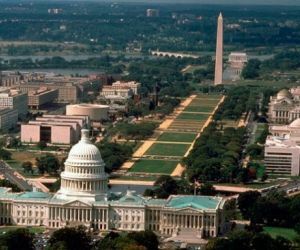 In 1960, when I came to Washington D.C., I had no job and just a little bit of money. I was totally dependent on the goodness of other people, and Mrs. Arndt was kind to take me into her house and even tried to get me a job with the Marriott Corporation. Mrs. Arndt told me to wait a few days and then she would arrange an appointment for the job. I stayed in the downstairs recreation room. During the day I did some work around the house. I could tell they needed a man around the house. Mrs. Arndt's husband had passed away several years ago from a heart-attack. Lu Lu was glad to have me around again because I could take her everywhere with my car. The day I had my appointment with the personnel manager from the Marriott Corporation I was told to wait a couple weeks, because they were going to fire a colored man so that I could get his job. I told Mrs. Arndt that I didn't want the job anymore and that I would find one on my own. So one day I went out job hunting. I was looking for a job in mechanical drawing. I had a little experience on the drawing board from my technical schooling in Holland before I went working in the coal mines. I had saved many of my drawing sheets when I was going to school, and always showed them whenever I applied for a job. I went to many companies, but whenever they found out I wasn't a citizen yet I was told to come back after I would get my citizenship. There were many companies who had defense contracts and you needed a clearance from the Government. I tried for many days to get a job as a mechanical draftsman but with no results. One day as I came out of one of the offices from an interview, as I walked down K Street in downtown Washington D.C., I took my roll of drawing papers and threw them in one of the trash cans. I was so disappointed that I made up my mind whatever job came along I would make the best out of it. So I started to look in the Washington Newspapers, and I saw an ad asking for surveyor for a road construction company. I went to apply for the job, and the boss for the construction surveying was a German. I spoke a little German with him and he told me I could start working the next day. I was outside all day long. During the summer months I was sun tanned all over my body. Working with a bunch of road construction men there was always a lot of drinking going on. After working hours, there was always a beer party going on in the trailer office. Everybody pitched in for a case of beer. The boss I worked for was a German and during the war had been in the German army. He had the looks and the way he acted reminded me he was still one of those Nazi fanatics. I must say he was always good to me and never spoke about the war or anything that had happened during the German war. But all along I could see that he had been in the Nazi party. And I was so right. One night we were all drinking together. Some of the men had whiskey and were mixing it with beer. The German was also drinking beer and whiskey. Some of those construction workers were war veterans from World War II and fought against the Germans. Somehow my boss, the German, got drunk and started telling his stories when he was in the German army how good the German soldiers were. One of the working men had been in the marines during World War II and stood quietly on the side and was listening. Then suddenly he came forward and told the German to shut-up, otherwise he said I will close your mouth. But the German kept on talking. Before everybody knew, the man came forward and gave the German a fist in his face. The German got so crazy after that blow that he lifted up his arm and started shouting "Heil Hitler". To me he just looked like a German fascist and a diehard Nazi. With all the alcohol he had consumed, it just came all out of him. I couldn't understand how he ever was able to emigrate to the U.S.A. The ex-marine would have killed him at that moment if his other co-workers hadn't stopped him. My German boss didn't show up for work for several days, he was beaten up so badly. Even when he came back his face was all blue from the beatings. When they asked the German what had happened he said he couldn't remember anything. After that terrible beating I never saw my boss having a drink again with the workers. I think he learned a lesson. From the construction boss owners we never heard anything about it. It was a drinking brawl and with those road construction workers I am sure that wasn't the first one they ever had seen. It was a rough bunch of men to work with.